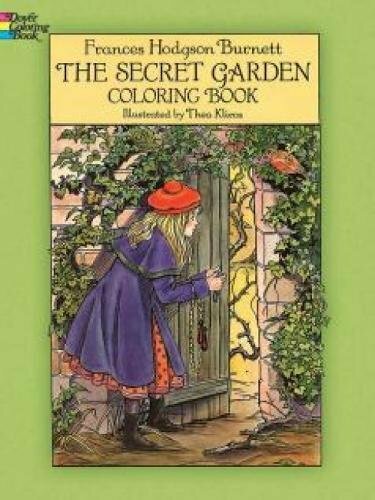 In this classic children's story, a secret garden on a gloomy Yorkshire estate becomes a place of health and happiness for Colin, the frail son of Archibald Craven, owner of the estate. For ten years after Craven's wife was fatally injured in the garden, the grieving husband avoided the place and forbade others to go there as well. But thanks to Mary Lennox, Craven's orphaned niece who comes to stay, and Dickon, a neighbor lad with a special rapport with animals, the long-abandoned garden blooms anew, bringing a healing spirit to the ancient manor. Now children can bring the story to life by coloring 27 delightful illustrations that wonderfully capture the spirit and charm of the tale. They'll also have the fun of reading or listening to the story, specially adapted for this edition by Brian Doherty.